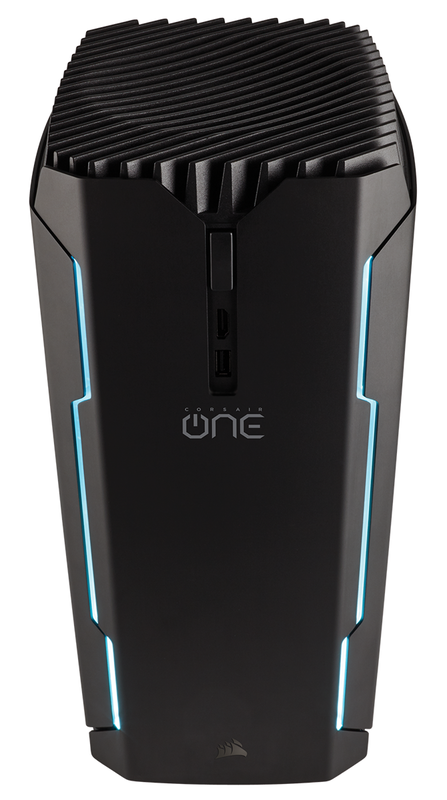 Small-form-factor gaming PCs have been on the cards for about as long as we can remember, but few manufacturers have been successful in transferring the desktop from the study into the living room. 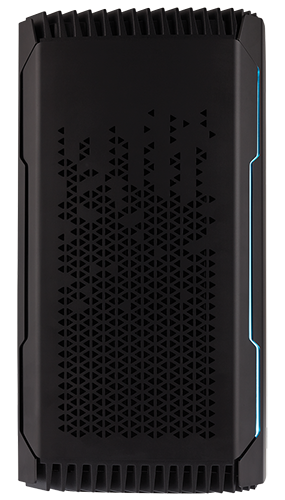 Heck, even Valve's ambitious Steam Machine fell flat, and it is no surprise that many gamers arrive at the same conclusion; may as well get an Xbox. 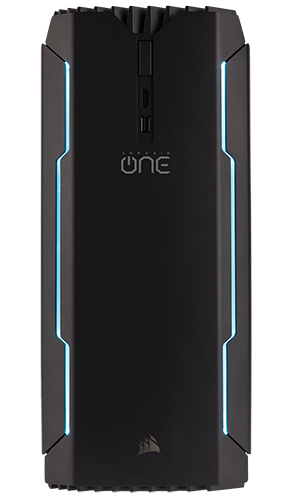 But if you do insist on installing a gaming-grade PC alongside your big-screen TV, there is now a stellar offering in the form of the Corsair One. 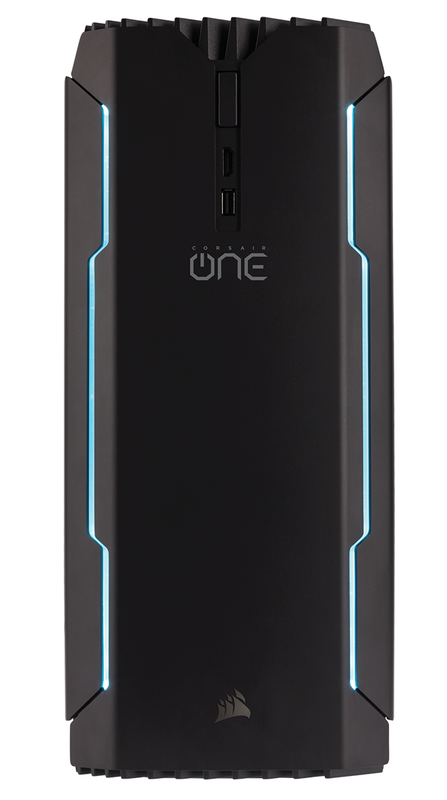 First introduced in 2017, One is the culmination of years of development following the ill-fated Bulldog, and manages to impress by aiming squarely for the enthusiast market, as opposed to attempting to compete with affordable games consoles. 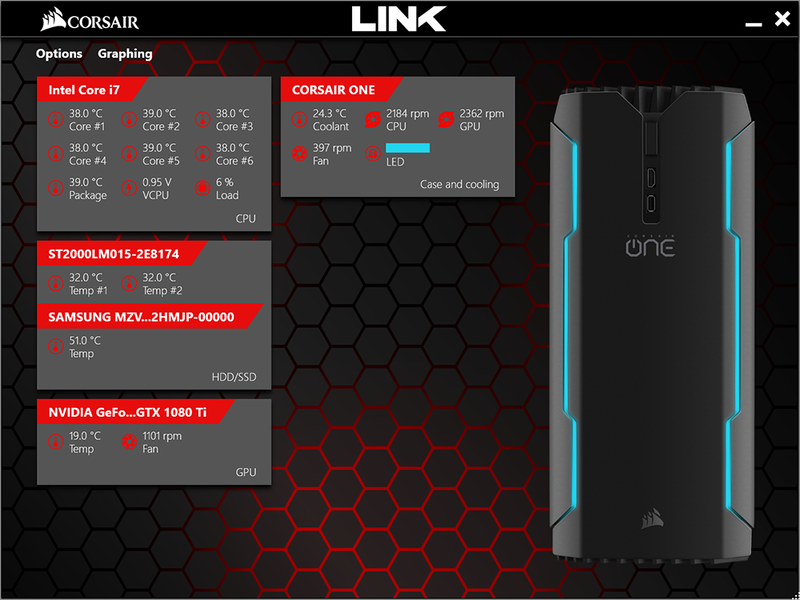 A sensible plan, as high-end is what Corsair does best, and with that in mind, a pricier, more powerful 2018 refresh was always on the cards. 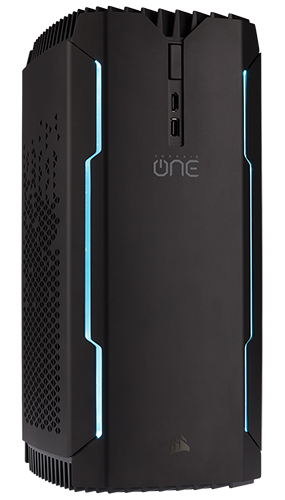 Enter the Corsair One Elite. Priced at a wallet-busting £2,700, this isn't your typical small-form-factor machine as there's no pussyfooting around when it comes to specification. 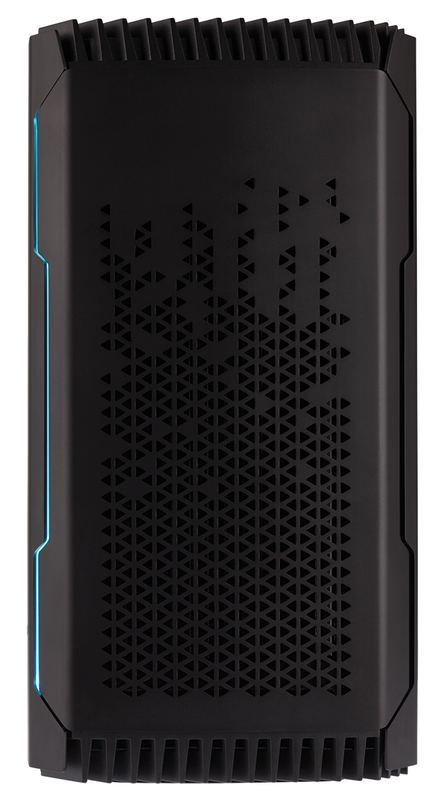 Last year's model was hardly a slouch with a Core i7-7700K CPU and GTX 1080 graphics, but the Elite ups the ante with a six-core, 12-thread Core i7-8700K, a massive 32GB (2x16GB) of DDR4-2666 memory and top-of-the-line GeForce GTX 1080 Ti graphics. There's no CPU nor GPU overclock this time around, yet both chips remain liquid cooled, and it's impressive to see such firepower crammed into a chassis of this size. 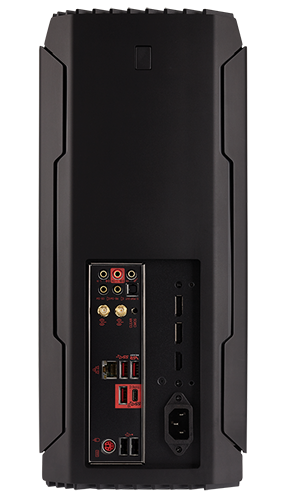 The internal Gold-rated SFX power supply has been upped to a 500W capacity to make room for the new components, and taking on board our feedback, Corsair has also made improvements to storage. A 512GB Samsung PM961 M.2 SSD now serves as a faster, NVMe-compatible system disk, while a secondary 2.5in 2TB Seagate hard disk offers extra space. MSI remains the primary collaborator, hence the use of a mini-ITX motherboard based on the Z370 Gaming Pro Carbon AC. 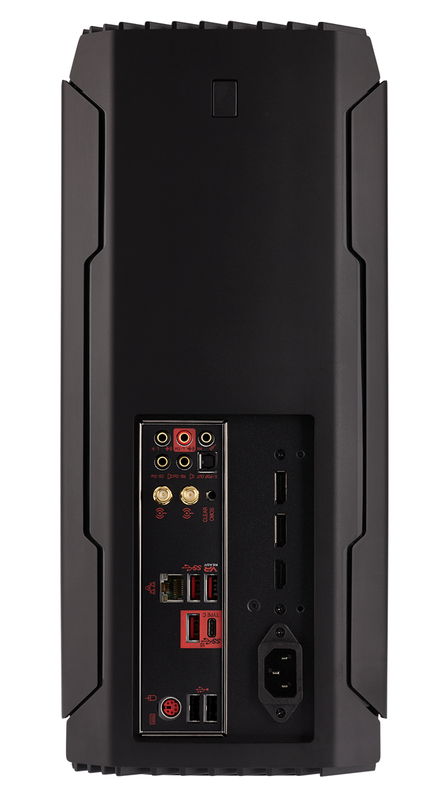 As before, connectivity is well-stocked, with the back of the unit offering half-a-dozen audio jacks, Wireless AC antennas, Gigabit Ethernet, 3x USB 3.0, 2x USB 2.0, a USB 3.1 Type-C, and three display outputs from the graphics card; HDMI 2.0 and dual DisplayPort 1.4. There's a second HDMI 2.0 port on the front, for VR duties, as well as another USB 3.0 port, and there isn't a whole lot we'd change. The DDR4 memory could perhaps be a tad faster, and USB Type-C on the front would be handy, but the One Elite offers almost everything a high-end PC should. Though of course, there are inevitable limitations. 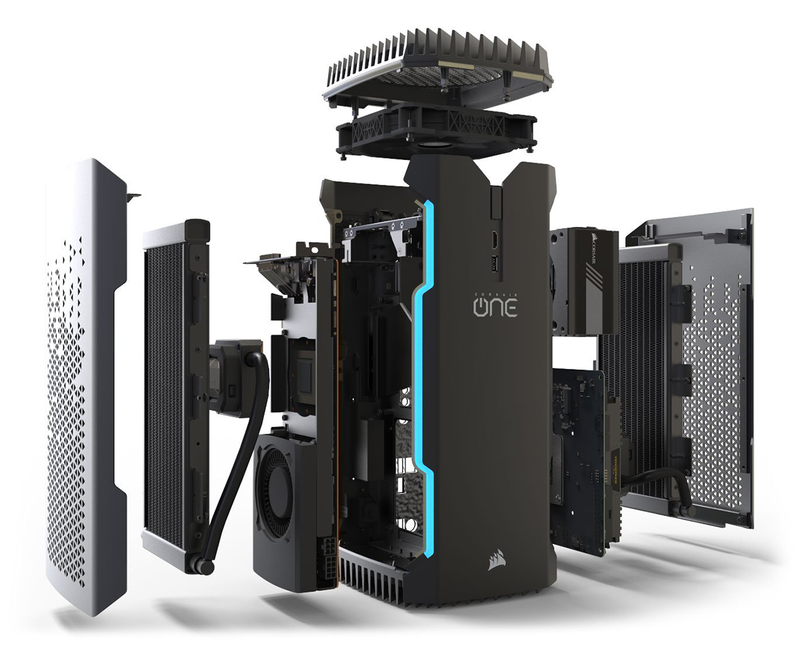 Corsair's 380mm (H) x 200mm (D) x 176mm (W) chassis might be solid and sleek, yet the positioning of potent hardware in a small space is such that expansion opportunities are limited. An ML140 fan tasked with expelling hot air from the top of the chassis can be released at the press of a button, and after a bit of disassembly, you can carry out memory and storage upgrades. 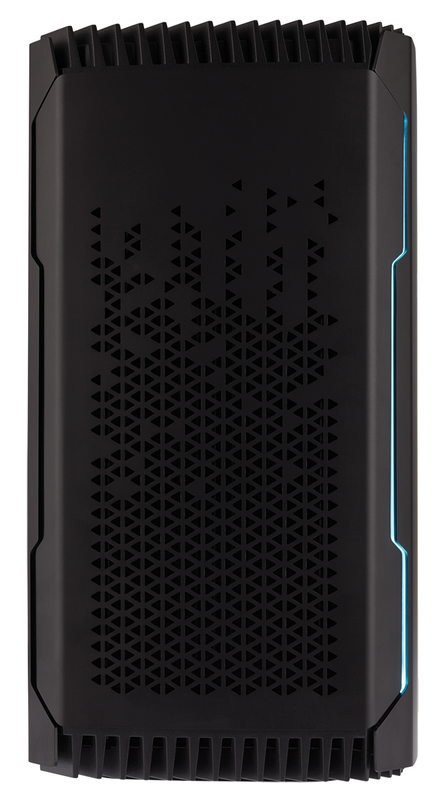 Do be aware, however, that Corsair only supports certain validated components - the use of anything else will void the warranty - and given the mass of cables and tight confines of the interior, end-user upgrades aren't for the faint hearted. 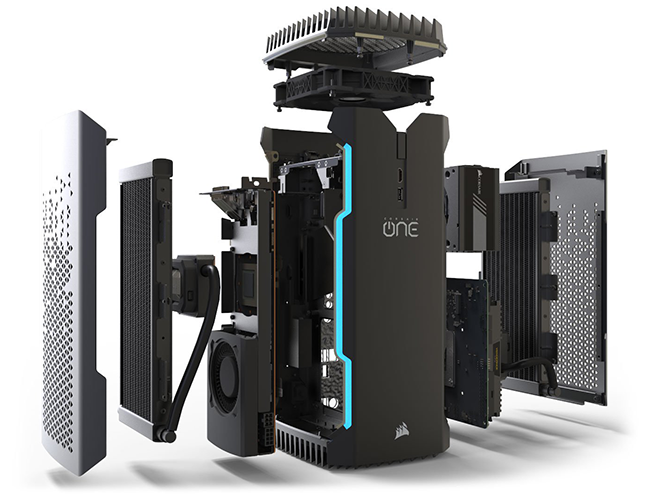 Still, easy access to components is one compromise you make with a small-form-factor chassis, but on the plus side the One Elite is very well put together and compact enough to sit unobtrusively in the living room (don't worry, you can disable the front LEDs). 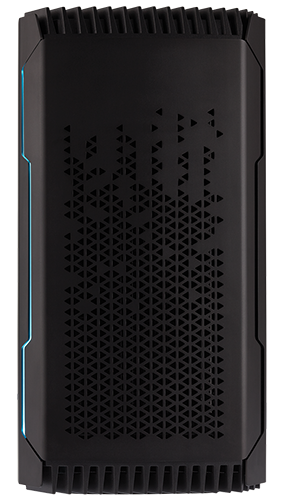 Build quality is top-notch throughout, with the anodised aluminium chassis providing a robust feel, while tapered edges and angular vents give the case a futuristic look. The other inevitable argument is couldn't you build a PC with the same specification for less money? Well, yes, but good luck trying to squeeze two 240mm radiators, a Core i7-8700K and GTX 1080 Ti graphics into a chassis as petite and well-integrated as the One Elite. 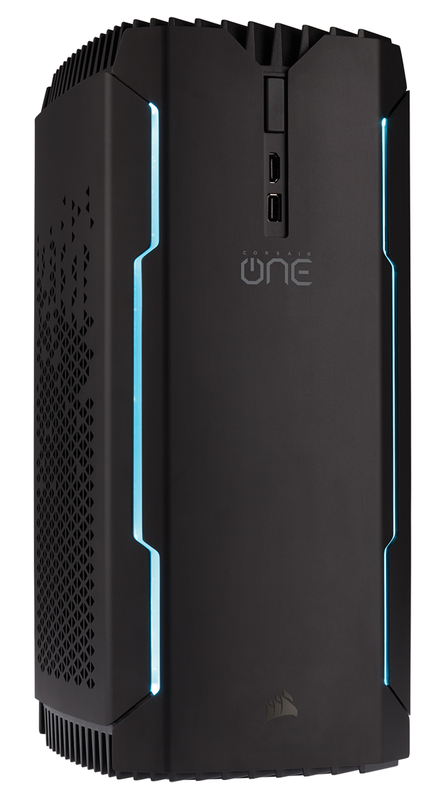 If you need a rig that's considerably smaller than your average tower yet every bit as powerful, there are few options as compelling as this. 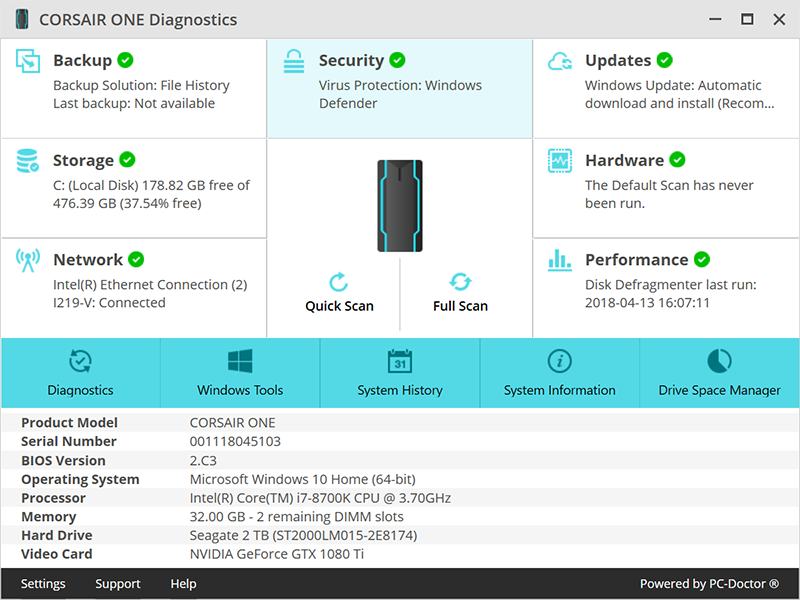 Rounding out the stock specification, Corsair pre-loads the system with a 64-bit install of Windows 10 that is topped with just a few apps; Corsair Link for cooling and lighting management, MSI Live Update and a re-skinned version of PC Doctor's diagnostics utility. All signs suggest an excellent PC experience, but can the One Elite remain cool, quiet and composed when outfitted with a hexa-core Intel chip and GTX 1080 Ti graphics? Only one way to find out.